Try this simple yet so good and healthy shrimp recipe. 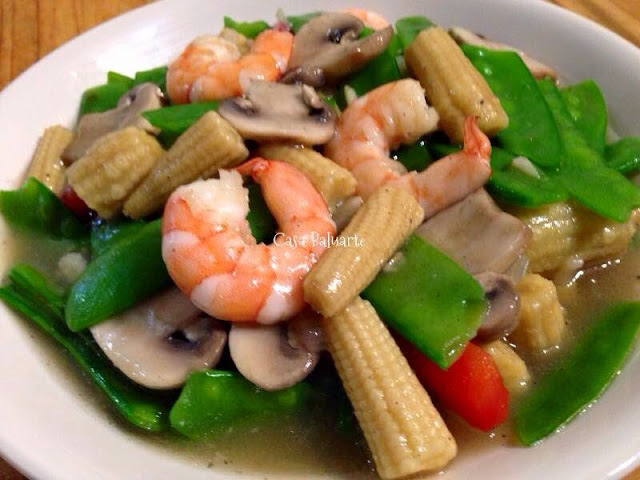 You can also add other veggies and seafood your tummy desires. Heat big wok or deep pan and add olive oil. Saute ginger, garlic and onion till caramelized. 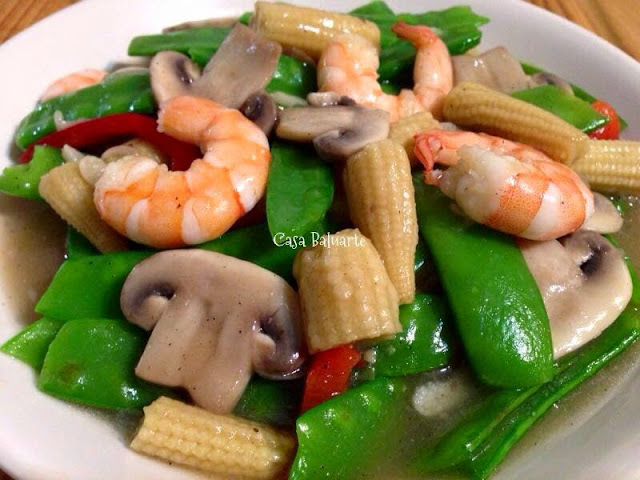 Add shrimp, baby corn, bell pepper and mushroom. Stir fry for few minutes in high heat. Add the snow peas then drizzle the sesame oil over the veggies. Add water, a dash of ground black pepper and salt to taste and bring to a boil. Once it starts boiling add the corn starch diluted in water. Bring to a quick boil then remove the pan from the heat to avoid the snow peas from over cooking. Transfer in a serving dish, serve with steam rive and enjoy!